What are the benefits provided to WIC participants? How do vendors become an authorized, WIC approved vendor? WIC stands for The Special Supplemental Nutrition Program for Women, Infants, and Children. It is a Federal food assistance program that was established in 1974 to safeguard the health of low-income women, infants, and children up to age 5 who are at nutritional risk. WIC is a Federal grant program for which Congress authorizes a specific amount of funds each year. WIC is not an entitlement program such as Medicaid, so it does not receive the funds necessary to serve every eligible person. WIC is administered at the Federal level by the Food and Nutrition Service (FNS), under the USDA. WIC is administered at the state level through the 90 WIC state agencies, and operated through local agencies, clinical sites, and health departments. WIC is available in all 50 States, 34 Indian Tribal Organizations, American Samoa, District of Columbia, Guam, Commonwealth of the Northern Mariana Islands, Puerto Rico, and the Virgin Islands. Services might be provided at a variety of clinic locations including county health departments, hospitals, schools, and Indian Health Service facilities. In Fiscal Year (FY) 2017, approximately 7.3 million women, infants, and children received WIC benefits. For the first 5 months of FY 2018, States reported average monthly participation over 7 million participants per month. Of the 7.3 million people receiving WIC benefits in 2017, approximately 4 million were children, 1.9 million were infants, and 1.8 million were women. What are WIC benefits provided to program participants? WIC ensures good health and development by providing specific foods to supplement the nutritional needs of participants. Typical food packages include cereal, milk, cheese, eggs, whole grains, fruits, vegetables, and juice, although specific items, products, alternatives, and serving sizes vary greatly between WIC agencies. See more details on the WIC Benefits page, or visit here for more information. Electronic Benefit Transfer (EBT) is an electronic system that allows a recipient to authorize transfer of their government benefits from a Federal account to a retailer account to pay for products received. 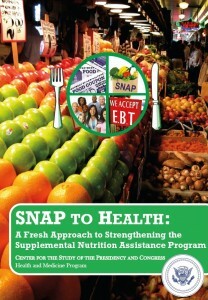 EBT is currently being used in many States to issue food stamp, WIC, and other benefits. Learn more about WIC EBT with the Electronic Benefit Transfer Guidance and Resources here. WIC supplemental foods have shown to provide wide ranging benefits including longer, safer pregnancies, with fewer premature births and infant deaths; improved dietary outcomes for infants and children; improved maternal health; and improved performance at school, among others. In addition to health benefits, WIC participants showed significant savings in healthcare costs when compared to non-participants. Learn more about how WIC helps. Pregnant, postpartum, and breastfeeding women, infants, and children up to age 5 who meet certain income eligibility and State residency requirements are eligible. Additionally, the applicant must be individually determined to be at “nutrition risk” by a health professional or a trained health official. Find more details about eligibility requirements on the Participating in WIC page, or click here for more information. The U.S. Food and Nutrition Service’s WIC Prescreening Tool can be used to help determine if you qualify for WIC. Those who are interested in applying for benefits should contact their State agency to request information on where to schedule an appointment. Applicants will be advised on what to bring to the appointment in order to verify eligibility. Click here to find your State Agency’s contact information. Mothers participating in WIC are encouraged to breastfeed their infants if possible, but WIC State agencies also provide infant formula for mothers. WIC State agencies agree to provide one brand of infant formula, and the manufacturer gives the State agency a rebate to reduce the cost to WIC participants. The brand of infant formula provided by WIC varies by State agency depending on each State’s rebate contract. The WIC Farmers’ Market Nutrition Program (FMNP), established in 1992, provides additional coupons to WIC participants to purchase fresh fruits and vegetables at participating farmers’ markets. FMNP is funded through a Congressionally mandated set-aside in the WIC appropriation. The program has two goals: (1) to provide fresh, nutritious, unprepared, locally grown fruits and vegetables, from farmers’ markets to WIC participants who are at nutritional risk; and (2) to expand consumers’ awareness and use of farmers’ markets. The Food and Nutrition Service administers the WIC Program at the Federal level, but State agencies are responsible for determining participant eligibility, providing benefits and services, and authorizing vendors. Each State Agency website will have more information on vendor application requirements. More information can be found at www.fns.usda.gov/fns/.